"Scrumptious cookies with a tangy twist!!" 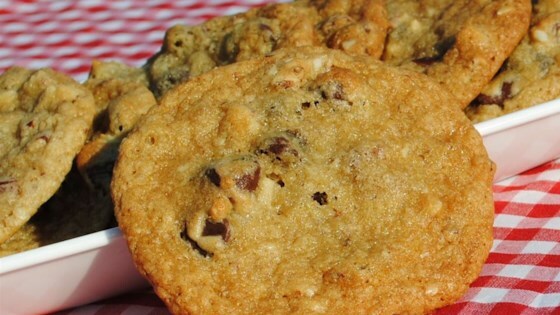 If you love your cookies loaded up with everything, here’s the cookie for you! very chew cookie. they only thing i changed is i turned the oven down to 350. i have a gas oven. awesome cookie. i am baking 12 dozen for a cookie exchange. My whole family loved them. I made a batch and they didn't even last 2days. Very good for parties! I found these cookies to be a great hit!